Saturday mornings in the Summer I often find myself at yard sales. Some days it is planned- I'll wake up at 7:30 and be out of the house an hour later. I'll look on craigslist to see what is around. Some days I just follow the signs. I'll drive aimlessly and see if any thing catches my eye. I am not looking for something increadibly rare or unusual. I look for a good deal, books, jars, vases, craft supplies, things that will look good in my room, records, 8 tracks that work, board games, something I will love. I have had some amazing finds over the years- including 2 vintage white and pink bowling pins, a red 8-track player shaped like a purse, an entire pack of color-aid paper, and numerous picture books. 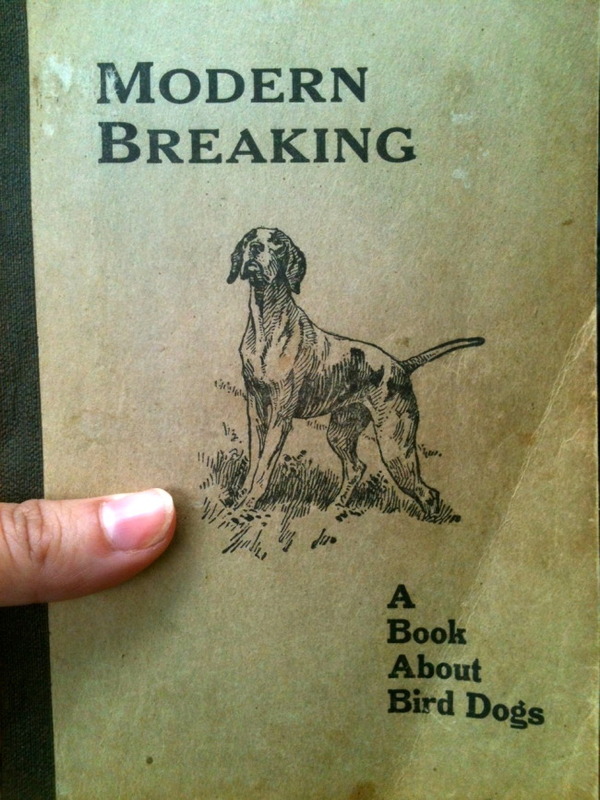 One of my favorite finds this summer was a book about bird dogs. The drawing on the cover looks a lot like my dog Oliver, and to my surprise I found his name written on the inside! My other favorite find was a fortune telling box full of little colorful scrolls. I love the scale and graphic design of it. It is hard for me to pick a favorite museum. Last year, I may have said the City Museum in St. Louis. Before that, probably the Pompidou in Paris. At one time it was definitely Washington D.C.’ s Spy Museum. But right now, the MOMA in New York is probably my favorite museum. 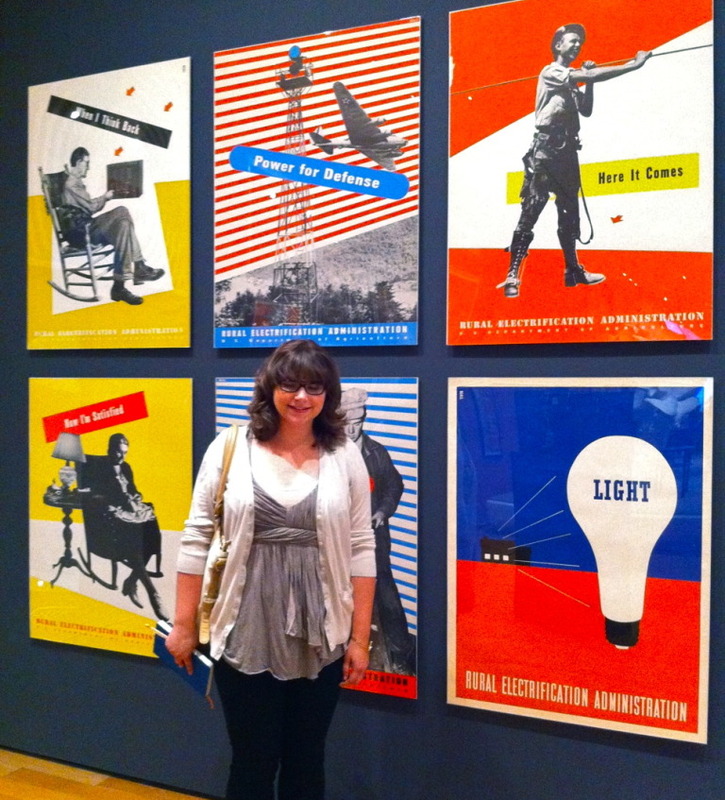 Last week I had the opportunity to visit the MOMA with my mom and dad. I’ve been once before but not recently. The museum is incredible, and we were thrilled to see so many “big-hits” of the art world- Picasso, Van Gogh, Dali, Matisse, Gaugin, Warhol, Pollock, Duchamp, and the list goes on. I was star struck. The museum is 6 huge floors of stunning and recognizable art. It felt special and comforting to see so many crowds of people enjoying the art together on a Monday afternoon. I was especially excited to see some recognizable posters hanging in the design room. I remembered learning about these in my History of Graphic Design class from Sophomore year, and have had a fondness for them ever since. These posters were created by Lester Beall, who is an American graphic designer, most popular in the late 1930s. This poster series was for the United States Government’s Rural Electrification Administration, trying to promote the idea of bringing electricity to rural parts of the country. I think the posters have a current look to them because they are so bold and bright. I was also very pleased giddy over the museums special exhibit: Ecstatic Alphabets/Heaps of Language. The show combines historical and contemporary works that focus on language- sometimes as a system of communicating, other times as an art form, or as a material that can be manipulated and played with. The historical section is mostly works on paper from Da Da artists, Fluxist artists, and visual poets (all my favorites!). I appreciate the concept and simplicity in many of the pieces. In my opinion, Paul Elliman was the star of this show with his contemporary work. 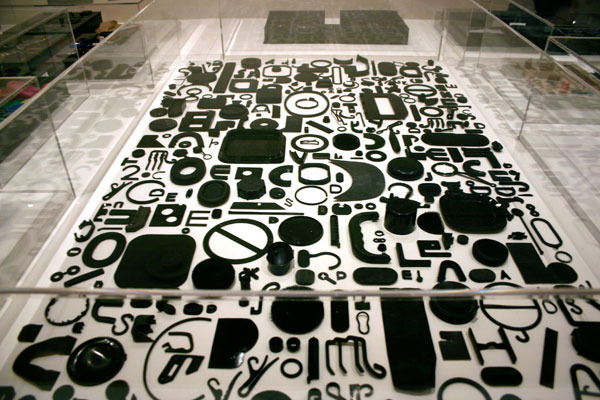 His “Found Founts” are vast collections of font-like items: scissor handles, cardboard pieces, plastic lids, metal rings, etc. I love the repetition, the organization, and the typography associations. I also think I just love collections.